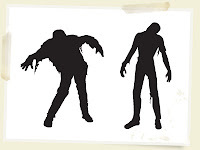 Over 400 haiku written on the subject of zombies, over at Boing Boing. Edit: Thanks to Ben Blogged for the cool graphic. Next Next post: Flash Away!